There it is! 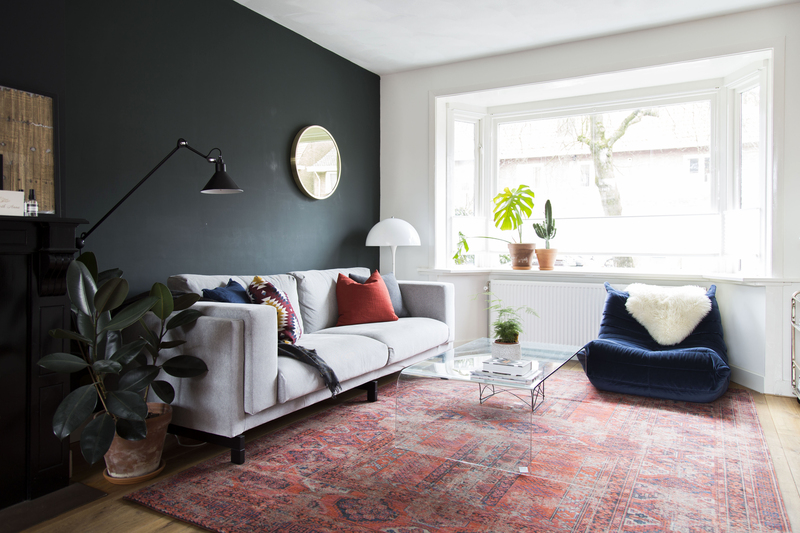 The new rug I already teased via my Instagram – we love it. This is a new addition to our home that is the typical story that if you change one thing, it never stays with changing one thing. Let me quickly walk you through it; a new (bigger) couch meant we changed the lay-out of our livingroom. 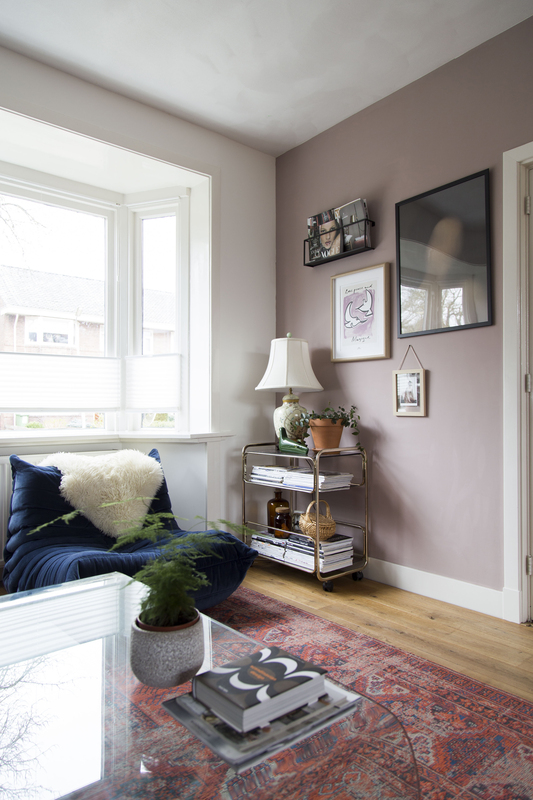 The change of lay-out meant I painted the living room wall in a darker shade, as I wanted more contrast with the grey couch. 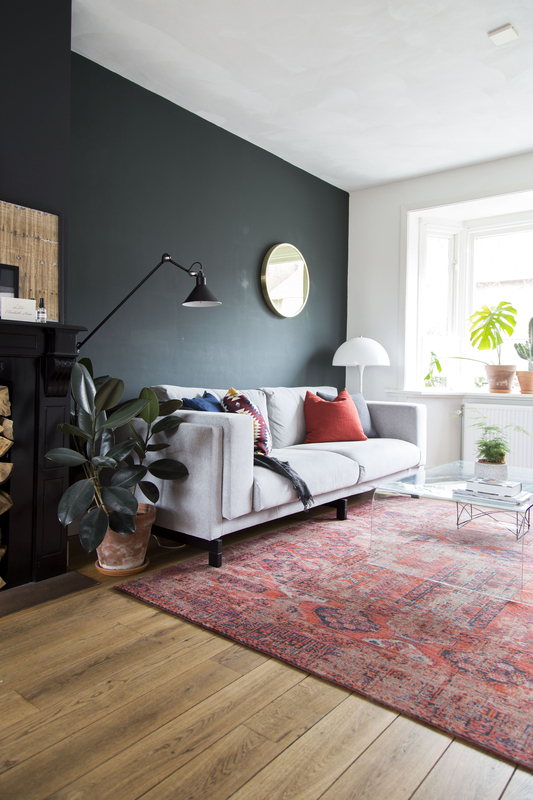 The dark livingroom wall meant I didn’t like the previous rug so I changed rugs. But, that rug was kinda small so I preferred the size of the previous rug. Hence, a new rug. Are you still with me? But, while a work in progress it is one of those changes that make you look at your livingroom and take a big sigh of relief, seeing how good it looks now. Next to that, we have a new chair on the way where this rug was so important for as well, so trust me when I say you will be seeing a lot of this rug in the coming weeks here on the blog. Now let’s talk more about how we chose this rug and why. So our starting point was that we wanted a bigger size rug. I love rugs for their capability of adding instant sphere, but also because they can tie your furniture together. 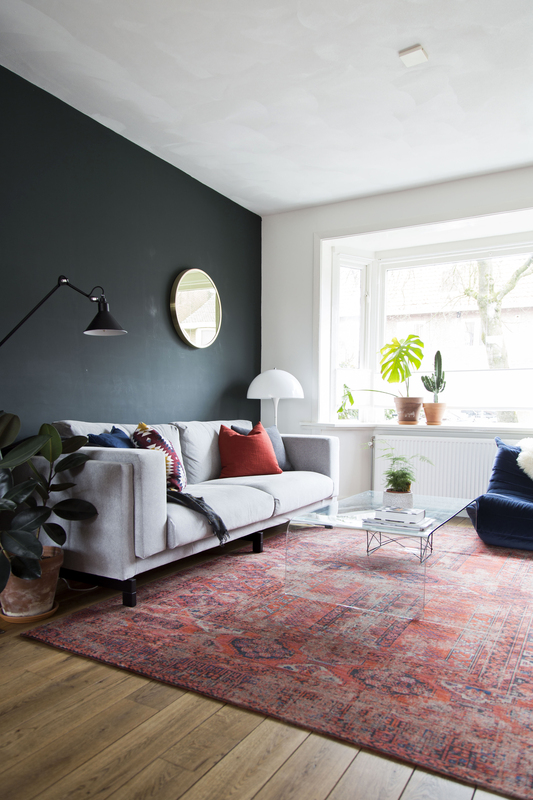 With a rug that is of a smaller size, you risk having all your furniture being separate “islands”. A couch here, a chair there. Now if you have a bigger rug, you’ll be able to put all your furniture ON the rug and this way it ties it all together. Let me show you a before and after so you can see the difference. Next to it being able to tie your furniture together as a whole, it also widens your livingroom. It feels bigger now, and who wouldn’t want that? So, many reasons to size up your rug when you’re thinking of getting a new one. This is a Louis de Poortere rug and I’ve written about this brand a few times before here on the blog. 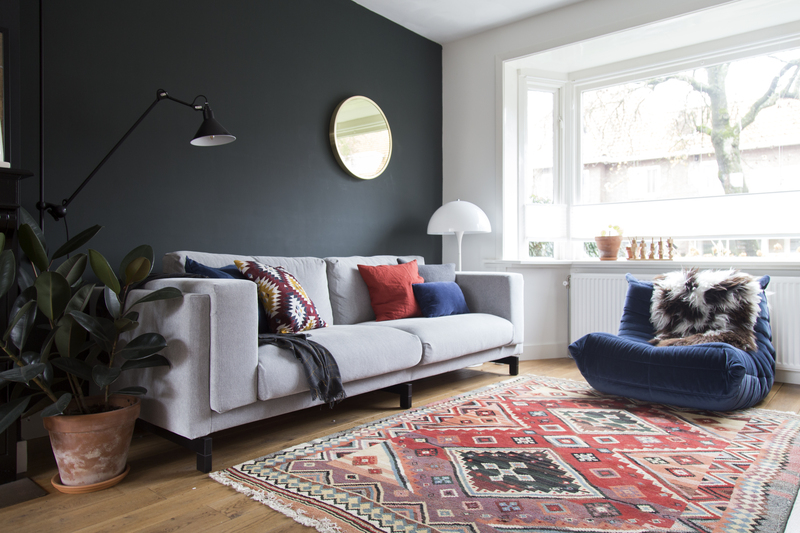 Our vintage rug everybody loves (see HERE) is also by their brand and while they bring out lots of types of rugs, I always find myself falling for the Persian-inspired ones. They add so much character to any room! This rug is part of their Antiquarian collection and if I could, I’d buy them all. In this case I knew I really loved a red rug in this setting, so I chose a red rug again. It’s a beautifully muted red shade – tomato red is best to describe it I guess. I feel it fits our livingroom very well. 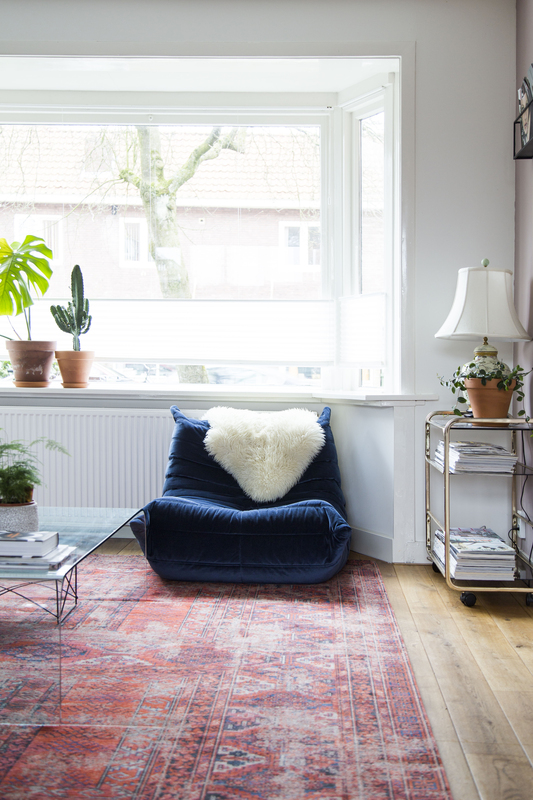 This bigger rug also allowed us to have a coffee table again, and that’s so practical. I changed this corner a bit as well. New items always give me inspiration to change things. The room looks finished, rich, and loks biger. I like your taste, a lot, go girl.